Milan is an exciting city, and even though it’s packed with tourists, it’s a must visit destination in Italy and in Europe. The good news is that in a couple of days you can see the best of Milan and have a taste of the city’s history, art, fashion, and food. So, what to do in Milan in 3 days? The truth is: you can do a lot, and to inspire you we’ve prepared a 3-day itinerary that covers all Milan must-see attractions and a few of our favorite spots as well. Why should you stay for 3 days in Milan? The answer is simple, most travelers want to do as much as possible on one trip, so 3 days in Milan would fit perfectly on a 10 to 15 day trip around Italy or Europe. Also, a 3 day itinerary is perfect for a Milan city break or if you want to spend a weekend in Milan. We have visited Milan 6 times and I can honestly say that less than 3 days is not ideal, but if you only have a day or two, it’s worth visiting Milan anyway. On the other hand, if you can stay longer, go for it. We’ve already spent a whole week in Milan and we’ve never gotten bored. Before we start talking about what to do in Milan in 3 days, we need to talk about where to stay in Milan. Location is everything and if you want to make the most of your trip, you need to book a hotel in Milan that is close to the attractions and the public transportation. The best areas to stay in Milan are located within Zone 1, where you can walk to Milan top attractions or take a quick metro or tram ride to get around. We’ve stayed in a couple of hotels in Milan city center, but so far the best one was Camperio Suites & Apartment. It has the best combination of good location, comfort, service, and privacy, to be honest, I wish we could live there. The hotel is only a few steps from Sforzesco Castle [450 meters in Google Maps] and a 10 minutes walk to Duomo Cathedral. The 4-star hotel is surrounded by cafes, restaurants, gelaterias, shops, and public transportation is just around the corner. We stayed in a Deluxe Suite and it felt more like a home than a hotel room. Comfy bed, squeaky clean bathroom with a bathtub, a living area, and a fully equipped kitchen. We had it all for us, super convenient and beautifully decorated. What I loved the most is that the apartments and suites are located in an old building in one of the small alleys of the historical center. The building has its own courtyard, the hotel has a lovely terrace and breakfast is served at the restaurant in the basement that also has a nice garden. When the sun is shining you can choose to have your cappuccino outside. From luxury hotels to classic apartments and shared rooms, the city has it all, but finding mid-range or cheap hotels in Milan is not an easy task. The huge amount of hotels and hostels available on the booking platforms make any attempt to search for the best hotel in Milan a daunting experience. To help you out we’ve narrow down the best places to stay in Milan for those who are traveling on a conscious budget or just want to save some money to be able to travel and enjoy more. – Brera Prestige B&B – great location with a mid-range price but breakfast is not included. – Check the rates here! – Ostello Bello – private and shared rooms, great location, breakfast, and dinner are included. Check the rates here! – Babila Hostel – private and shared rooms, breakfast is included and it’s near Duomo Cathedral. Check the rates here! – Room Inn – more of a guesthouse on the edge of Central Milan but close to a metro station. Check the rates here! – NYX Milan – Check the rates here! – Starthotel E.c.ho – Check the rates here! – 43 Station Hotel – Check the rates here! Our list of the best places to visit in Milan must start with the magnificent Duomo Cathedral. The marble facade, the towers’ details, the rich interior, everything is stunning there. I still remember when I saw Duomo for the first time, on a raining evening, surrounded by colorful umbrellas and people trying to take the best shot possible. Duomo is impressive! Be smart and book your ticket to Duomo Cathedral in advance and from the official website. You can choose to visit only the cathedral or visit the cathedral plus the Crypt of St. Charles, Duomo Museum and the terrace [you can literally walk on the roof of the church]. I recommend you visiting everything, just choose if you want to go up via lift or if you want to go up the stairs. An important tip, check the time for the last admission and go as late as possible so you can have a glimpse of the sunset from up there, it’s beautiful. Milan castle dates back to the 15th century and nowadays it is a museum where you can learn about its history and also stroll around the old walls and towers. Visiting the castle garden is free, you only need to pay to visit the expositions. When you arrive in front of Sforzesco Castle you will see a beautiful fountain and hundreds of tourist, don’t get intimidated by the crowd, walk into the main door, and as soon as you cross it you’ll see how big and beautiful the place is. Keep walking and exploring until you arrive at the back of the castle where Parco Sempione is. This is the biggest urban park in Milan and it’s a great place to relax, play games and drink with friends. My suggestion is to explore it on foot or by bike and then relax like a true Milanese, don’t forget to bring a bottle of wine with you or buy some beers from the shops. The famous painting Last Supper by Leonardo Da Vinci is located in the refectory of Santa Maria Delle Grazie Convent and you can visit it. The 15th-century painting is one of the top things to see in Milan and to be able to admire it you must book your ticket in advance. I’m not joking, to see the Last Supper in July or August you must book your ticket in May. So don’t miss the opportunity and plan it well, on the official website you have all the information about tickets, visiting time, and the rules you need to follow to visit this precious piece of history and art. If the dates don’t work out for you, or if you can’t fit the visit on your 3 days in Milan, don’t worry, you can still visit the church and enjoy the beautiful garden behind it. Another highlight on our list of places to visit in Milan is Pinacoteca di Brera. Even if you are not into arts, this place is gorgeous so try to squeeze a visit during your 3 days in Milan. 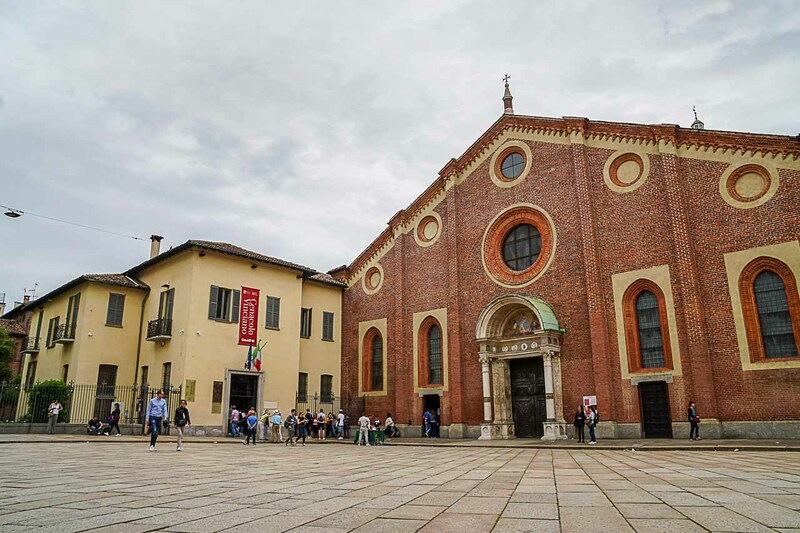 Pinacoteca di Brera is located at Palazzo Brera and you will find a library, an astronomical observatory, a botanic garden, the Lombard Institute for Science and Arts, and the Academy of Fine Arts there. Not to mention that the building itself is worth visiting. Check Pinacoteca di Brera’s website for updates about the current expositions, tickets and opening hours. 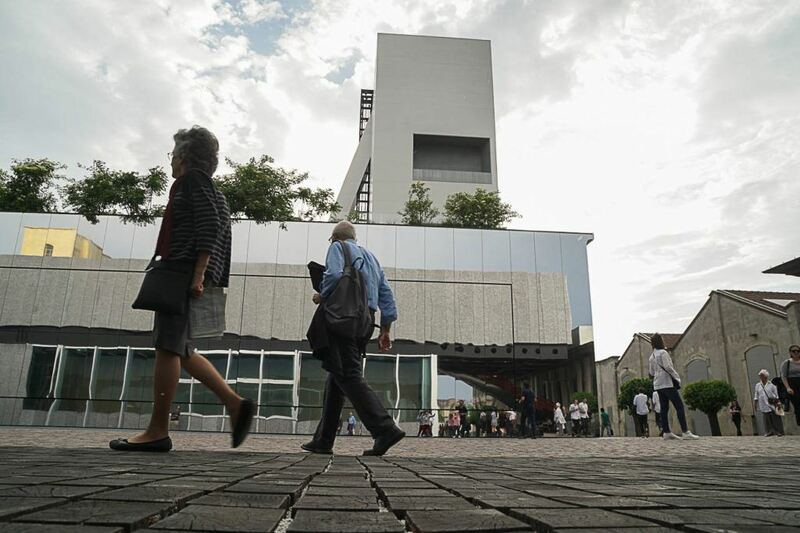 Keep in mind that the Pinacoteca is closed on Mondays. This is the largest science and technology museum in Italy, it has a section dedicated to Da Vinci’s experiments and even a helicopter flight simulator. Check the opening time and ticket prices on Museo Nazionale Scienza e Tecnologia Leonardo da Vinci’s official website. Fondazione Prada is one of the new attractions in Milan, opened to the public in 2015, the venue is a mix of 3 modern and geometric buildings with 7 old buildings reminiscents from a distillery built in 1910’s. The place is huge, it hosts several expositions, a cinema, a cafe and a tower from which you can see the Milan skyline. Visiting Fondazione Prada and walking around is free and if you fancy visiting one of the exposition you can buy the ticket at the front desk up to one hour prior to closing time. And don’t forget to stop at Bar Luce, a vintage cafe that is perfect for an afternoon cappuccino and an Instagram shot. If you traveled to Milan by train or if you took the shuttle bus from the airport, you’ve probably arrived at Milan central station, but did you visit it? Milano Centrale is one of the beautiful places to see in Milan and also a good spot for shopping and eating. Walk around, climb those stunning marble staircases, check out the chandeliers, and stop at Bistro Milano Centrale for a cappuccino or a slice of pizza. 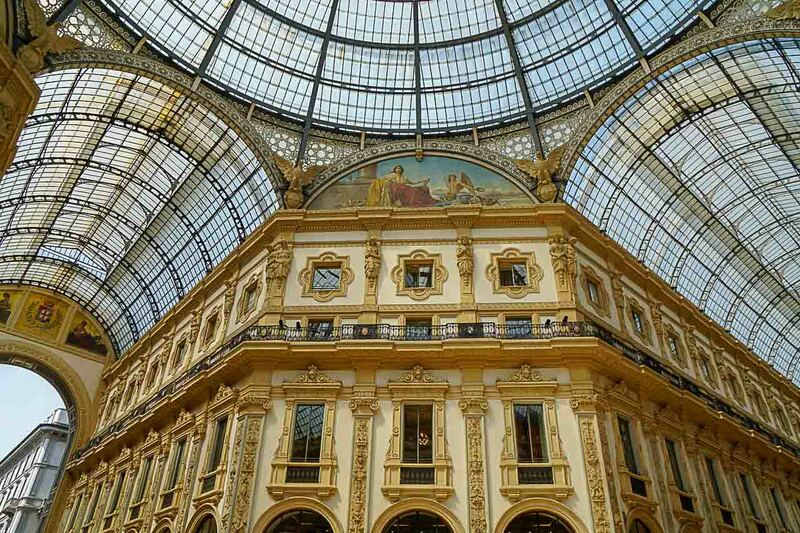 Opened in 1867, the gallery is a must visit place in Milan and you can’t avoid being wowed by such a majestic building. Sitting beside the Duomo Cathedral, this four-story double arcade mall has the most luxurious shops and restaurants in Milan. If you want to do something unique go for Galleria Vittorio Emanuele II Rooftop Tour. A lift will take you to the top of the gallery and you can walk the 550 meters long highline above the building while enjoying the best views of Milan. There is one more thing you must do in Milan, on the floor in the middle of the gallery you need to find Turin’s coat of arms. The Milanese tradition says that you need to rub your right heel on the bull’s balls to ward off evil. If it’s true I don’t know, but would you take the risk? Follow the crowd and rub your feet on the shiny balls for some luck! 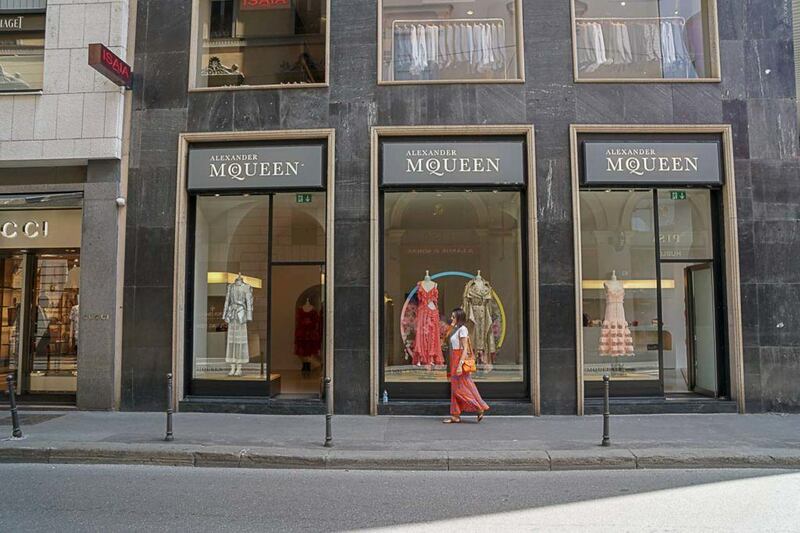 Welcome to the most expensive shops in Milan, luxury hotels and award-winning restaurants, the famous Quadrilatero della Moda is the epicenter of Milan’s fashion culture and history. The shops are magnificent, the old palaces are well preserved and the whole area has a luxury atmosphere. Don’t those price tags fit on your budget? Don’t worry, 400 meters from the fashion district is Corso Vittorio Emanuele where you can find department stores, international brands, and more affordable prices. And yet, you can say you went shopping around Quadrilatero della Moda. This is the address of the modern, yet fashion, side of Milan. Corso Como is a mix of shops, restaurants, bars, and the tallest building in the city. Go shopping at the iconic 10 Corso Como store or enjoy a drink at one of the trendy bars, you will be surprised to see how lively and interesting Corso Como is during the night. 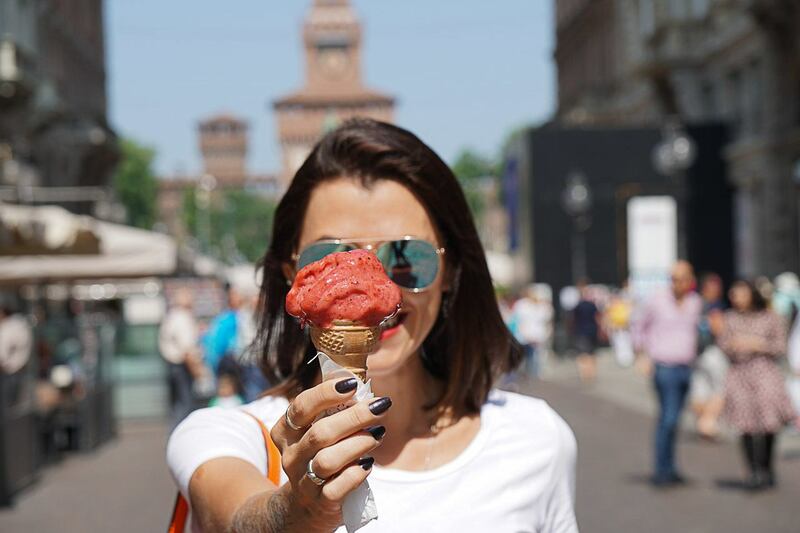 These streets connect Sforzesco Castle to Duomo Piazza and there you can find shops selling everything, from fast fashion brands to Italian ateliers, and mouthwatering gelatos. Looking for vintage stuff? Antiques? Or just want to experience a different side of Milan? So find your way to the East Market and be surprised by the size of it. Hundreds of stalls selling anything from second hand to local designers, food, drinks and music, all in a former factory located at Lambrate neighborhood. Keep an eye on East Market Facebook page for opening dates. We covered almost all the best places to visit in Milan, but our list of what to do in Milan in 3 days is far from ending. Actually the best part of it comes now: food, drinks and things to do in Milan at night. Think about a supermarket mixed with restaurants. Then add a cooking school, a chocolate atelier, fresh fruits and veggies, and of course, a lot of cheese and wine. All these in a building that looks like a shopping mall. This is Eataly, one of the best places in Milan to have a food overdose. You will find the finest Italian products to buy or taste in one of the restaurants there . Aperitivo is the best Italian invention, and in Milan it works perfectly. 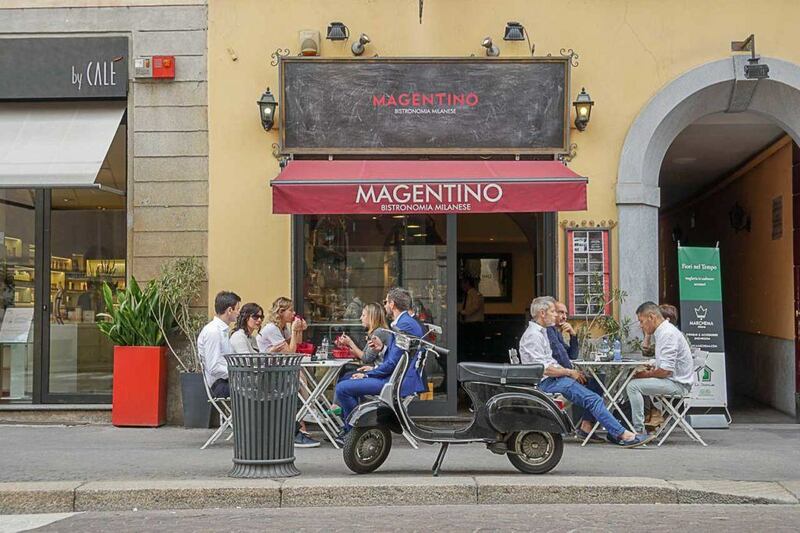 Every day around 5 or 6 pm bars and cafes around the city start serving the traditional aperitivo, Italy’s best own version of a happy hour. Usually, you pay 9 to 15 Euros for a drink and then you can eat as much as you can from a food buffet. In some places they will bring finger food to your table, and as long as you order drinks the food keeps coming. I’m not talking about salted peanuts and potato chips, this is real food, Italian delicious food. 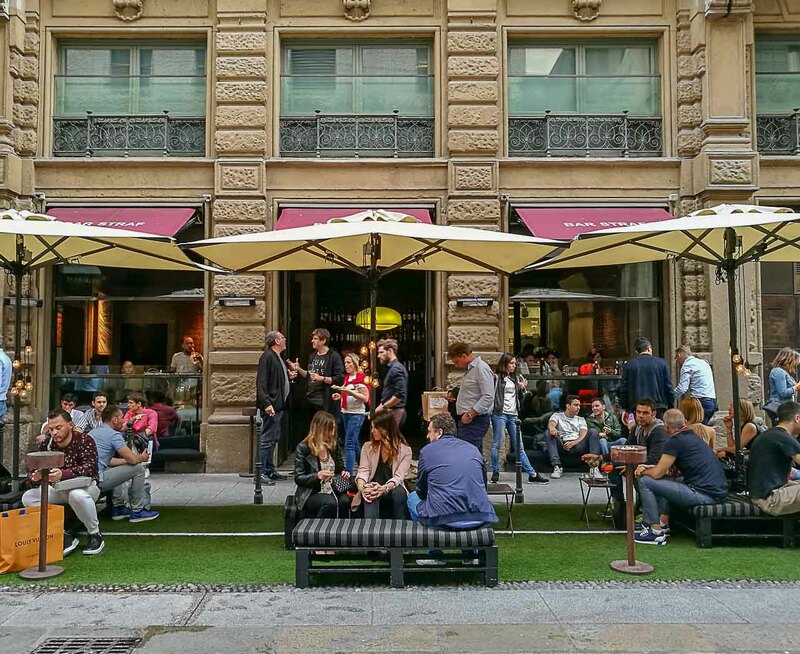 Bar Straf is one of our favorite places to enjoy the aperitivo in Milan. Located just beside Duomo, under the luxurious Straf Hotel, the bar is packed with locals, beautiful people and one or two tourists. Order a Campari or Aperol Spritz, an Italian Martini or a glass of Prosecco, take a sit and enjoy the food and the music. Some days they have a DJ playing and on the others, a band takes over the street in front of the bar. Un Posto a Milano is another amazing place for food in Milan, it’s a mix of hotel, restaurant, bar and a farm in the middle of the city. Favorite among locals, they serve one of the best focaccia I have ever eaten. Don’t go too late, otherwise, you won’t get a sit. Naviglio is a unique and interesting place to visit and you must add into your Milan itinerary. You will see the city’s oldest canals and around them a bunch of bars, restaurants and a deck that is perfect for admiring the sunset while sipping a beer there. In Naviglio try the aperitivo at Manhattan Navigli Bar. It’s always packed with tourists and locals, the prices are reasonable and the food is outstanding. Don’t be fooled by the simplicity of the bar, choose one of the outdoor tables and enjoy the happy hour and dinner in a single place. If you have some time left or if you decide to extend your stay in Milan, there are a couple of unique things to do in Milan that you can add to your itinerary. Places to visit and experiences that you can only have in this incredible city. 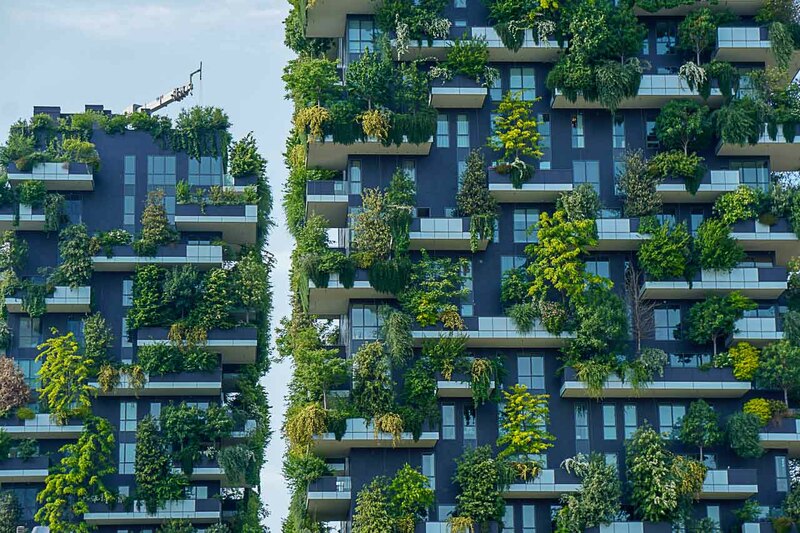 – Stroll around Bosco Verticale, a residential building complex that is also a vertical forest. – Find the Flamingos in a private garden at Villa Invernizzi, located between Corso Venezia and Via Cappuccini. – Watch a movie at Cinema Centrale, the oldest movie theater in Italy. – Enjoy wine and cheese in one of the city’s parks, a stylish picnic is one of my favorite things to do in Milan. 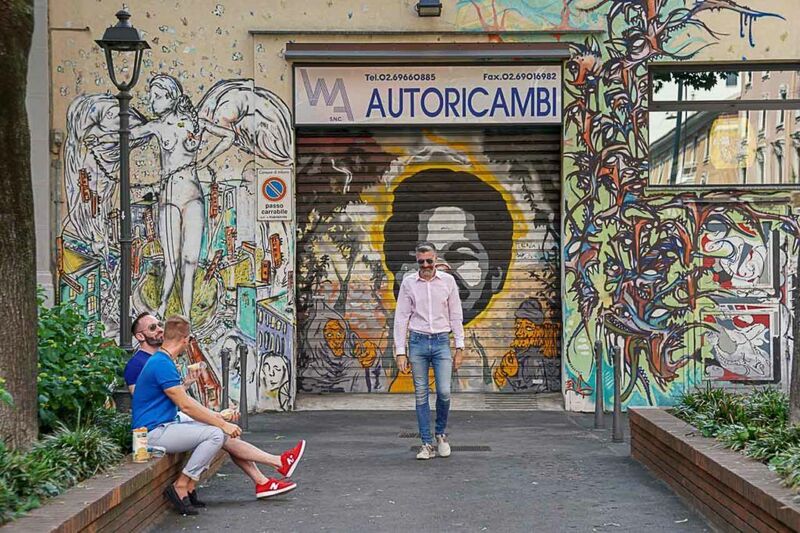 – Enjoy Milan street art at Isola neighborhood and go for drinks at Frida Bar. We are done! 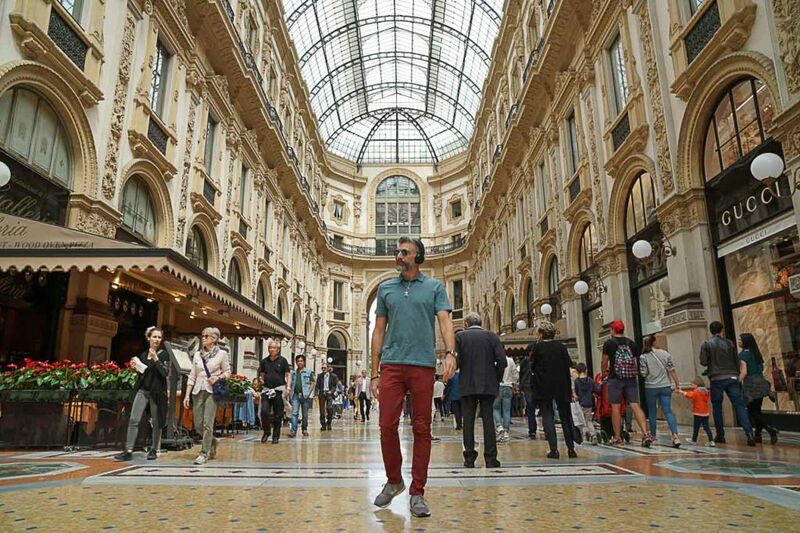 If you follow our tips on what to do in Milan in 3 days, I’m sure you’re gonna love the city. You might be tired at the end, but nothing that a bottle of Prosecco on your last night won’t fix it. If you didn’t manage to visit all the places we recommended here, don’t panic. 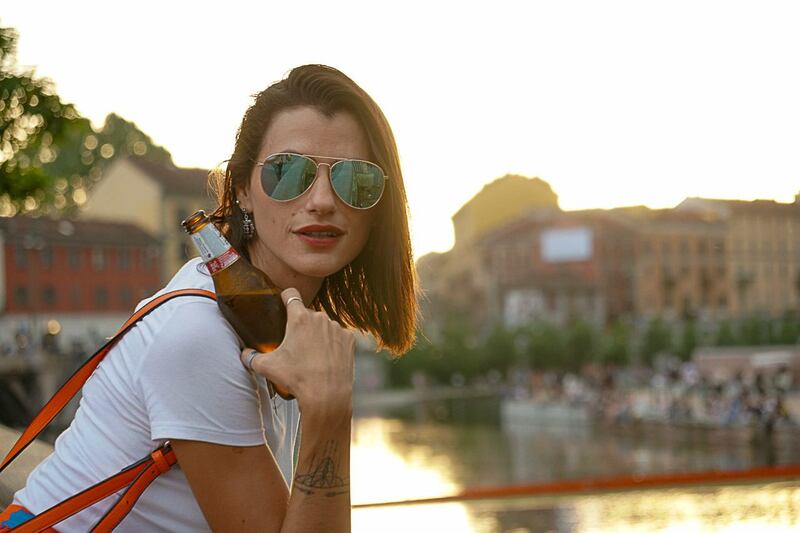 For me, the best thing to do in Milan is to walk around admiring the beautiful architecture, trying mouthwatering food and drinks and being happy. Next year you can come back for more, as we did. Milan is well connected with three airports: Milano Linate Airport, Milano-Malpensa Airport and Orio al Serio International Airport [also known as Bergamo Airport]. All of them are outside Milan, but there are hourly buses going from the airport to Milan’s train station and back. From Milano-Malpensa Airport you can get the shuttle bus or the airport train, it’s your call. If you are traveling within Italy or Europe have a look at trains. We traveled by train from Switzerland, France, and Austria to Milan and it was easier and more comfortable than flying. On some of our train journeys, we used the Eurail Pass, a single train ticket that you can use multiple times to travel around Europe. The pass is super easy and practical, read more about how to travel with Eurail Pass here. Do you want to travel to Milan by train? Buy tickets here! Buses are also a good option If you are traveling to Milan on a budget. We have traveled with Flixbus and it was a good experience, not as comfortable as train, but not too bad, especially if it’s for short distances. To get around Milan is easy, the city is well connected with trams and metro and in less than 20 minutes you can be anywhere around the city center. Choose between the single ticket, the 24 hours ticket or the booklets with 10 journeys. We bought the 10 tickets booklet for 3 days in Milan and it last until the end of the trip. Walking in Milan is easy and it’s my favorite mean of transportation. The city is so pretty and by exploring it on foot you can discover amazing places. My suggestion is to take the metro and tram only for long distances. Taxis and Uber are also a good way to get around, especially at night. Looking for more inspiration? Check out our posts about Italy here!